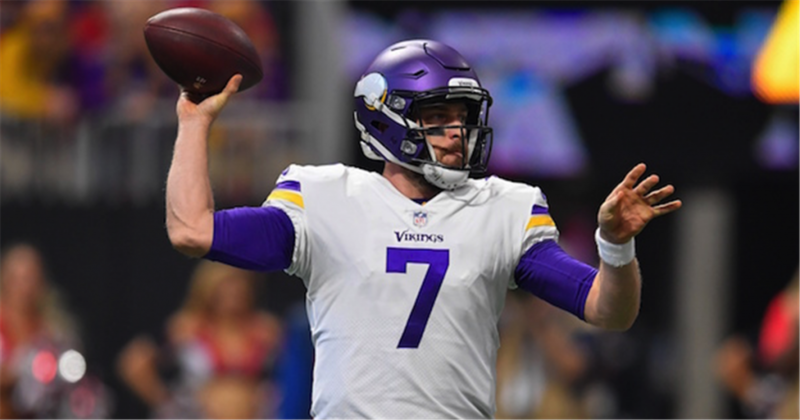 The Minnesota Vikings are struggling with inconsistency in the last month as they suffered three defeats in the previous five games but they managed to return to the playoff picture after a massive win over the Miami Dolphins. Minnesota improved to 7-6-1 record and is in the 6th position in the NFC and they must get a win in this one. On the other hand, the Detroit Lions are not playing well lately as they lost six out of the last eight games and dropped to 5-9 record and to the bottom of the NFC North but even though they are without a chance to reach postseason, the Lions will be motivated to ruin wildcard hopes to their divisional rival. Minnesota scored just 17 points in total in two defeats to New England and Seattle but they responded magnificently with a 41-17 victory over the Miami Dolphins and revived their wildcard hopes. The Vikings scored 21 points in the opening quarter and added 17 more in the fourth, while they kept the Dolphins off the scoreboard in those two quarters. Minnesota totaled 418 yards in opposite to Miami’s 193 and had ten more first downs (22-12) and the hosts were equally effective through the air and on the ground. They recorded 215 passing yards with a couple of touchdowns but the running game was particularly pleasing as the Vikings had even 220 rushing yards, way more than their season average of 95.0. Dalvin Cook impressed with 136 yards and two touchdowns on 19 carries and Minnesota is hoping to have another 100+ yard display on the ground against Detroit’s defense that is allowing 115.4 yards to the opposing runners. Kirk Cousins is completing 70.5 percent of his passes for 3913 yards with 26 touchdowns and ten interceptions for the Vikings. Cousins had a solid showing in a win over the Dolphins as he posted 215 yards with two touchdowns and an interception and considering that Detroit is allowing 230.7 yards to the opposing receivers, Cousins will be looking to connect with Stefon Diggs, Adam Thielen, and Kyle Rudolph have another 200+ yard display. Detroit avoids the third consecutive defeat with a 17-3 victory over the Arizona Cardinals but they failed to win another low-scoring tilt as the Buffalo Bills beat them, 14-13. The Lions scored their 13 points in the second quarter and had a 13-7 lead until the final quarter when Josh Allen found Robert Foster who converted 42-yard pass into a touchdown to hand the Bills a tight win. Zach Zenner and Andy Jones scored for Detroit and Zenner will have a chance to make his mark in the remaining two games as his fellow running back Kerryon Johnson is placed on injured reserve list due to a knee injury. Still, it’s not going to be easy to dominate the ground against Minnesota’s defense that is allowing 111.4 yards to the opposing runners, but the Lions can hope to have 100+ rushing yards here. Matthew Stafford is completing 67 percent of his passes for 3395 yards with 19 touchdowns and 11 interceptions for the Lions. Stafford had a solid game in a loss to the Bills as he posted 208 yards with a touchdown and 146 of those yards went to the wide receiver Kenny Golladay who now has over 1000 yards for the first time in his career. Minnesota has the 4th best passing defense that is allowing only 202.9 yards to the opposing receivers. So Stafford should consider himself happy if he manages to add 200+ yards in this one. Minnesota won five out of the previous ten H2H encounters including the last two, while the Vikings were victorious in three out of the past six meetings at the Ford Field. The Vikings are 5-2 ATS in their last seven duels in Detroit and they have a big motivation to beat the Lions and stay alive in the playoff hunt, and even though Detroit will try to do anything to stop the divisional rivals and ruin their plans, I am going with the visitors in this one. Detroit is having offensive difficulties lately as they scored 30 points in the last two games and I don’t think they will improve here, so the Vikings should be good enough to cover the -5.5 spread. I already mentioned that the Lions are struggling offensively right now but Minnesota is also not impressing with their offense despite the fact that they scored 41 last week, I don’t think they will score more than 25 this time around. Under is 8-2 in the last ten meetings; under is 6-1 in Lions previous seven games in December, while under is 4-0 in Lions last four vs. NFC opponents. Also, under is 4-1 in Vikings last five vs. NFC; under is 5-1 in Vikings previous six games in December, while under is 5-1 in Vikings last six vs. a team with a losing record, and I am going under in this one.